Shoppers should in fact be able to get CarPlay on any model with an 8-inch multi-touch screen, the one exception being the SRX Crossover. Cadillac is also promising to add Android Auto support, but only further into the 2016 production run. To access either CarPlay or Android Auto, drivers will have to tap on a "Projection" icon on their screens. Apart from touch controls, people will also be able to trigger Siri or Android voice commands by hitting a button on their steering wheel. During Monday's WWDC 2015 keynote, Apple announced several ehancements to CarPlay such as wireless connections, support for new screen sizes, and automaker-made apps capable of controlling in-car functions such as heating and air conditioning. Cadillac did not say how many of those improvements will be implemented into its lineup. 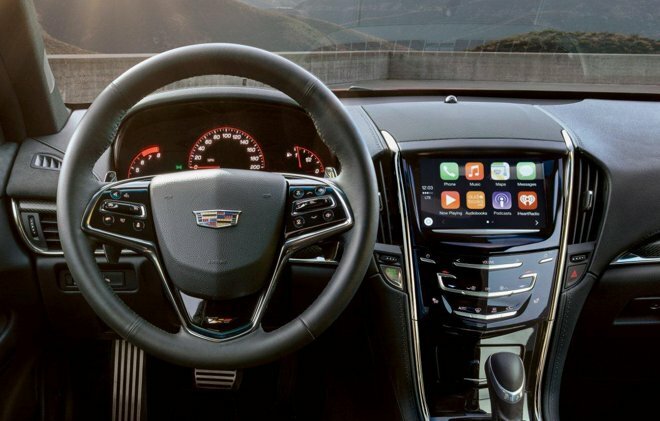 GM is making a major push into CarPlay and Android Auto this year. In May it announced plans to put the platforms on 14 Chevrolet models.